On 11/09/14, a company of NA soldiers attempted to overrun a Boko Haram position in Borno. Due to the low altitude, the plane suffered significant damage from the terrorists' gun fire. Wing Commander Hedima & his partner realized that they were going to crash. Instead of hurriedly parachuting to safety within Nigerian controlled territory, they chose to embark on a mission to destroy as many terrorists and their weapons as possible. They parachuted out at the last minute but not before ensuring their plane slammed into a column of terrorists in which 63 Boko Haram members were killed as a result of their bravery. Wing Commander Hedima was captured. 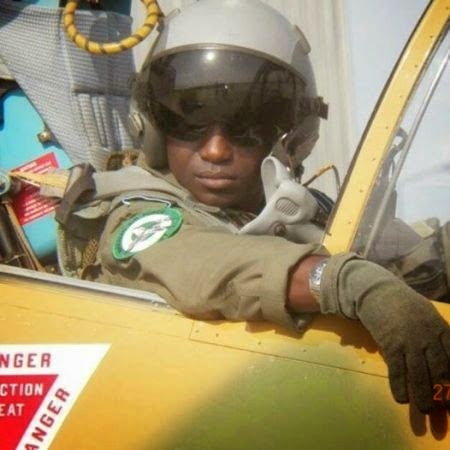 On 12/09/14, he was killed by the Boko Haram. He chose Nigeria, he chose all of us. We cannot forget him. Please share his story. His name should be known by everyone. Rest In Peace Commander, we are grateful. May you find eternal peace in the bosom of the almighty God. Now this brave soldier deserves a posthumous award.